Ready to see what the intersection of tech and recruiting looks like? Check out Brian’s answers to our 7 Quick Questions and be enlightened! 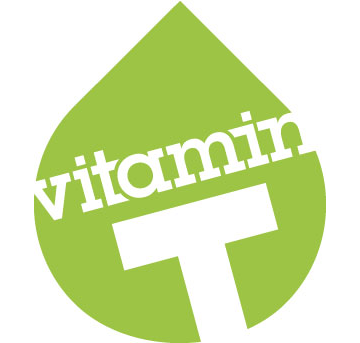 What made you want to work at Vitamin T? And what do you love most about working here? I was actually drawn to the shiny green logo :) But really, it's always about the people. We take care of our employees, our talent, and our clients. It is definitely the least "self-focused" company I've worked for, and I love that! I want to make a positive impact on the people in my life, and it's so great when you work for a company that shares that value. What do you love about working with creative talent? "Opposites attract," as the saying goes. My artistic abilities are limited to tracing and taking selfies. While I think I am pretty creative in the way I think and approach business, I love being around the designers and marketers that influence the way we interact with just about everything. Our creative talent are so much fun, there's never a dull moment! What’s the BEST thing someone can do when looking for a job? Prepare for your interview. This may sound surprising, but doing the basics will oftentimes make you stand out amongst other candidates. Conduct research on the company: their products/services, the hiring manager, etc. Have examples of your work and accomplishments that you can succinctly reference. Talk about what you were asked to do, what you did, and what the happy result was. The most impactful interview responses are with tangible examples that demonstrate your skills, approach, and behavior. What’s your favorite interview question? “What's the last risk you took?” It's an engaging question and reveals a lot about the person. Best creative/digital event in your city? SDX's Interactive Day! Awesome speakers, great format, loads of great talent, and a heck of a lot of fun! This year the topics ranged from Understanding Generation Z and Visual Advertising Strategies for Millennials to The Evolution of Social Media and Injecting Creativity into Technology. Speakers and panelists come from WIEDEN + KENNEDY, I.D.E.A., MOZ, iHeartRadio, SONY, Razorfish, and anywhere else you can imagine. Worth the trip to San Diego! If you had to pick two celebrities to be your parents, who would they be? Lionel Messi and Betty White. Leo because I would be a pro soccer player and have an exotic accent. Betty just screams "Mom of the Year! ", right? Looking for that special creative in San Diego? Chat with Brian!